Do you have passion for fashion? Why not consider trading in the beauty industry? The demand for hair extension in the Nigerian markets is sky-rocketing everyday. Therefore, hair extension business is a viable and lucrative business in Nigeria. One thing very good about hair extension business in Nigeria is that it requires little capital to start.And almost anyone can do it. Most women today take extra measure to look good and are willing to spend even their last money to achieve this. One of the symbol of a woman’s beauty is her hair. To achieve good looks, women make their hair with all types of hair extension and they do it almost every week. Another thing I like about hair extension business is that you can start it small from home without renting a shop, and your customers will still reach you on your mobile phone when the need arises. So, the business is quite simple and affordable. There are different types of hair extension available in the market, example; synthetic, human hair, European, Brazilian hair, Peruvian hair, Indian hair, expression attachments, wigs, amigos attachments etc. They come in different inches, colors, different makes, and their prices vary too. Before you engage in hair extension business, you need to understand and get familiar with these different types of hair extension that are in the market. Some people may consider selling only human hair depending on who their customers are, while others may prefer to sell all products of hair extension. It is advisable to sell different types of hair extension because people are different so are taste and likes. Being known for different kinds of brands makes you earn more satisfied customers who in turn will help promote your business by word of mouth. If you are selling in a shop, you need to purchase the equipment for your shop. Another strategy is advertisement, this could be done through social media marketing, telling friends and family through word of mouth marketing, or showcasing your product at trade fair shows. As a business owner you need to practice what you preach. Use good hair extension products on your hair for people to see. You don’t need much to start this business. All you need is to rent a shop for about N100,000 depending on the location. Buy hair extension/attachment products worth about N500,000 or less depending on what you have, that’s all. This business is capable of making you N300,000 monthly if you take it serious and give your all to the marketing. To engage yourself in this type of business you need to put somethings into consideration to avoid any pitfall. Due to variety in brands of hair extension in the market, you need to know their names, inches, and where they are made in. Because you will have different customers asking for a particular brand of hair. More so, a new product can surface in the market that your customer may not be aware of, you can tell your customers more about it. This will go along way to demonstrate to your customers how knowledgeable and up to date you are in the business. Make a list on how you want your business to succeed at the beginning and in the future. Think of how you can compete with the existing competitors in this line of business. know how much you need to start up, and what the turnover would be. Also, find out where to buy your products, either from the distributors or manufacturers in order to get products at a reasonable and affordable price. When you invest N 500,000 to buy different types of hair extension that pull traffic in the market such as, expression attachments, human hair, lace wig, and other related items to stock. You stand a chance of making N 300,000 returns from your investment. There are some other related products that are used to make hair such are; thread for weavon, needle, weavon glue, weavon oil, relaxers and all types of hair cream and anti-dandruff for hair. This does not only attract individuals but also call for attention of salon owners to patronize your business. Have it in mind that there are many competitors in this line of business. Make sure your price is very reasonable and competitive enough. You do not have to make huge profit as a beginner, what you need first is to gain more customers. Providing them with the best quality at affordable rates will help you gain customers and keep them for a long time! If you do not have enough financial capacity to import directly from China, you can consider purchasing from local manufacturers. Even so, you can get your product at a reasonable rate while being assured of good quality. In effect, you will be able to give your customers a reasonable discount on product purchase. While reasonable price will help you gain more customers, you can make them loyal by giving incentives on products purchased. This can come as gifts on products bought depending on the quantity. Sometimes, you can run a sales promo. Your customers want to be convinced that there is difference between you and other suppliers. Endeavor to stand out by treating them in such a way to show that they are kings. I believe these steps above would give you an insight of how to start a successful hair extension business, and make you standout from existing competitors. If you have any comments or questions, please do not hesitate to do so below. Please where do you think someone could get the hair extension, i mean a manufactural..
pls i’m interested. Do you sell good quality and affordable Remy hair? pls drop your whatsapp number or mail address so I can contact you. How can I get hair extensions directly from the manufacturer? Pls cn u link me up with the indian hair source. I am selling genuine and quality (no tangle) hair pieces human and synthetic at an affordable price for you to re-sell. where are you? I Need more information pls . I import bulk hair at wholesale prices,,, my email contact is mimsvbeauty,, or leave your contact details here on yahoo or Gmail you can reach me. i want to start hair extension and accessories business i need info on how to get the products distributors and manufacturers. i want to sale in wholesale. I live in Benin city Edo state please contact me. Please how can you connect me with a distributor or manufacturer in Nigeria. Please am interested in having a hair brand/line, please link me up to manufacturers here in Nigeria or abroad.email me please. Thank you. Pls how can i get a manufacturer or distributor. Hello am a virgin hair distributor in Nigeria with over four years experience, I sell Brazilian Peruvian Russian Burmese funmi curls ombre hair etc add me on whatsap if interested. we are pleased to be a partner of your good work you are doing in Nigeria. we are seeking your partnership in order to have what you are doing extended to us. As a pastor I personally want to get involvement along with my family. My wife is specialized in that area. This is what we are doing in Liberia beside the pastoring work. Hello, i really need contact of manufacturers or wholesalers of different kinds of hairs and hair accessories and products. Thanks. I’m interested, pls connect me to manufacturers. Can someone start the business with 250k importing it from China,email me and link me to diff suppliers thanks. Thanks for the info. Pls I have just started my beauty products supply business. Kindly link me up with manufacturers or major distributors of hair extensions, hair products and other beauty products. My email address is Ejindu.rose at yahoo dot fr. Or WhatsApp me via zero eight one seven five four, two four, eight nine nine. Good evening, I want to be a weavon and attachments distributor, what Am I supposed to do? Can it be discussed online or Am I supposed to come to your office? Can I pay online and have the goods delivered to me? Please, guide me. Thanks. Pls am planing to go into hair business please I need contact of distributors and manufacturers of human hair. You can contact via email at. Many thanks for the write up. It was very insightful. Please, I am interested in the business. Kindly link me up with a good manufacturer or distributor. Please where can i get these hair extension products? I want to start the business. Good day,can you kindly link me up to manufacturers,I,m opening my shop soonest..thanks..
First of all, thank God for ur inputs. I would like to know one or more manufacturers of hair extensions, a current list of diffent trending hair in d market, et al. Ur reply will bless me more on starting up dis business. I reside in Sango Ota vey close to Lagos state. God bless u Darlinton Omeh. 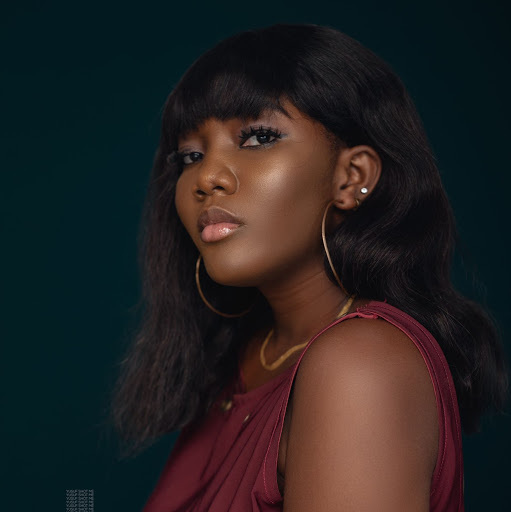 Could you please link me to genuine suppliers of human hair in lagos. Thanks for these nice tips. i’d love to be a distributor of human hair,especially sweet lady human hair. Pls, how do i get started? and could you pls link me to a manufacturer? Kind Regards. Blessing. Thanks for the write up, really informative. I’m about to start my hair extension business and require a manufacturer or distributor. Please help refer a supplier. My email address has been provided. I sell in wholesales and retail prices. 7a – 10a hair, contact me if you’re interested (I get some from Dubai, some from China, and they’re really good) . And also, I wouldn’t mind someone’s contact in India to sell for me in wholesale prices too (I heard they have great hair there). I am from india. 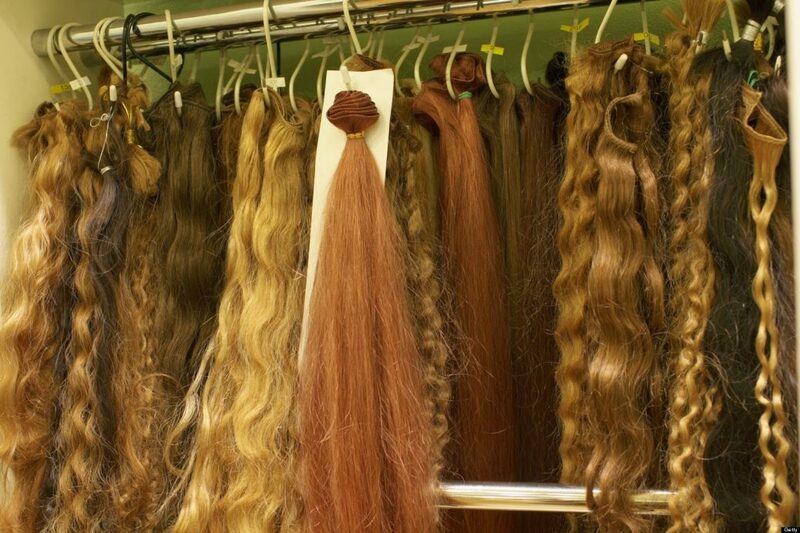 We are the manufacturer of raw human hair. We are the best source of human hair in world for raw hair. We also provide weft braids weaves. My name is Collins for The Slay Lounge. We are only distributors of quality hair extensions and wigs in Nigeria straight from the manufacturers in India. 30% discount available for hair extension resellers. Wigs also available. You can choose from a wide range of textures and lengths. If you want the extensions and wigs according to a budget, that is also available. Pls hw can I get manufacture because I want to be selling in wholesale nd retail. please how can i get contact with delers,,i want sale hole sale and retails. Please i need the contact of distributor of all weavons and attachment . i can be reached through this contact 07036504966, 08142440492. I really want to go into Hair Extension business and I want it directly from manufacturers. I will be glad if you will link me to them. Thanks! Please I wanna go into Real human hair business and I want it directly from manufacturers. I will be glad if you will link me to them. Thanks! Please how can I get a manufacturer’s contact? I want to establish on this nature human hair extensions business l need a factory production manager. Please, I need a manufacturer or distributors contact here in Nigeria. Please how can I get connected with a manufacturer and again, like how much do you think I will need to start importing directly from the manufacturer??? Your assistance in this area will be highly appreciated. I need a manufacturers / distributors contact for hair extension purchase. My location is Abuja. I need to start a hair and attachments business so I need a linkup with a a direct manufacturer or a good distributor in Nigeria to register with and start the business ASAP. Please I want to be a sub distributor for xpression weavons and attatchments. Please help me with a contact I can use to achieve this. Hi, I want to sell in wholesale how do I go about it. How can I be a distributor direct from the company and the contact of the company and it’s procedures. Plz am interested in d hair extension business, how can I get them from the manufacturers in India, China etc. I want to be a major distributor. Pls reply me via my email . please I need your email. I want to start a resale. I’m interested in this business,kindly send me your contact for more information thank you.